I have a team mate. His interests are unique and contagious. I’m not sure if that’s an oxymoron, but to give you an idea, he loves specialty heavy denim, plays yoyo, designs limited edition yoyos, and recently got into begleri. His interest in denim seems to have spread to at least one if my other team mates and I have started practicing yoyo and begleri. I’m not particularly good at either of them, but since I also like making things I am keen on making begleri and other things using paracord. 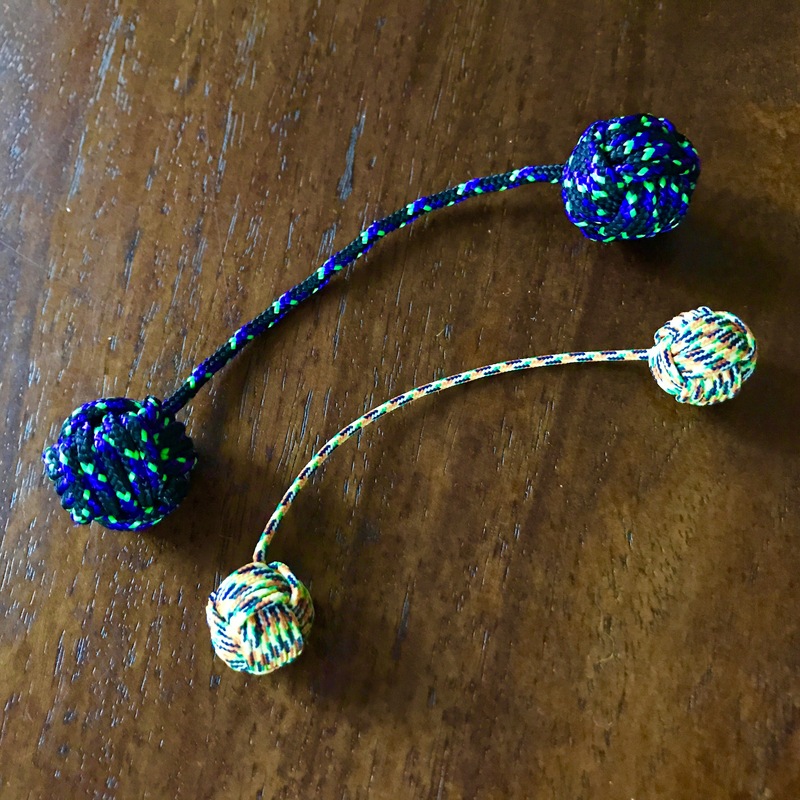 I ordered my first begleri (pictured above in black, purple & green) from Sk37chi Begleri and I made the tiny one pictured next to it. I have been practicing with both. I’ve also ordered a bunch of paracord from CamsCords with which I want to make more sizes and styles of begleri, and try some bracelet patterns. Stay tuned for the results!